Even though the holidays are over now, we still occasionally get together with friends and loved ones. So there's always a reason to have a nice hostess gift on hand. 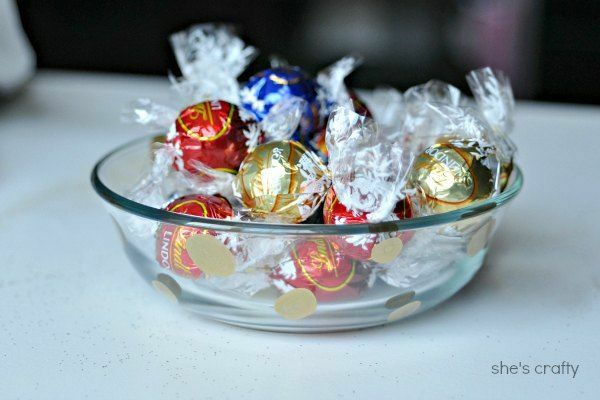 A gold polka dot candy dish is the perfect gift! 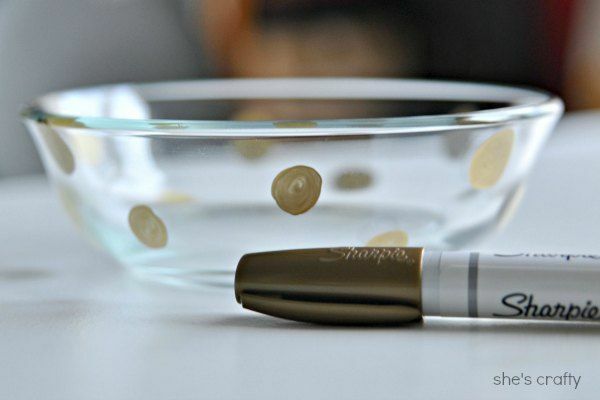 I started with a plain glass dish and a gold oil based sharpie (amazon affiliate link). 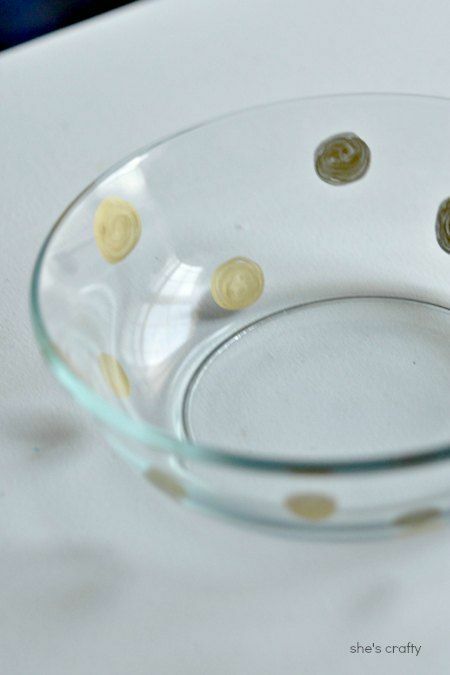 I wiped the bowl down to make sure it was free of smudges and surface dirt. Then I just drew and colored in circles all around the dish. I always go for the hand drawn, imperfect look. 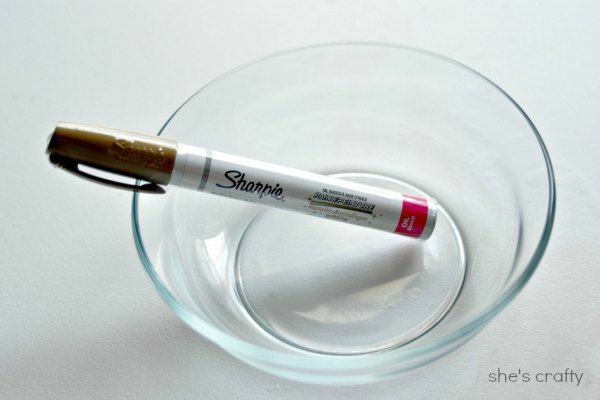 Once the paint dried, which was quick, I added some chocolate. 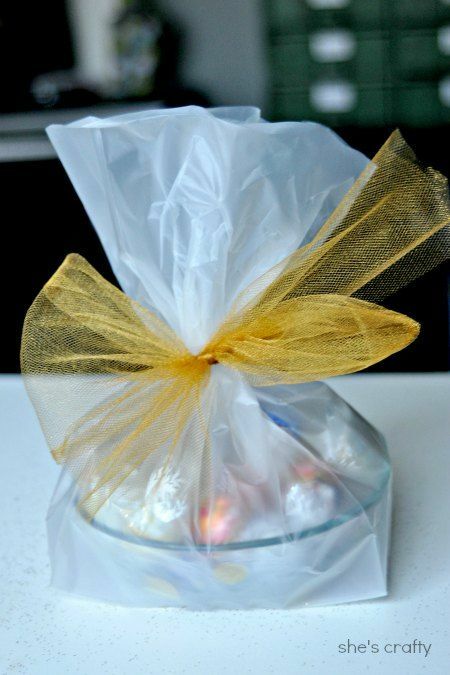 Then I put it into a bag and tied it with a gold tulle bow. Simple! I think this would work well for a birthday gift too. Thats adorable! Thinking of doing red and pink ones for V-day! Perfect little gift idea!